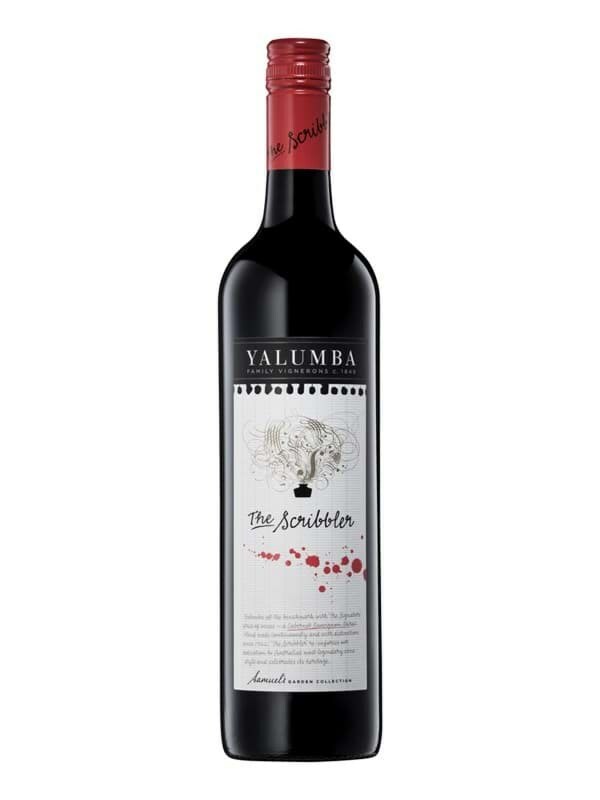 Rượu vang đỏ Úc Yalumba The Scribbler Cabernet Sauvignon - Shiraz. Appearance: This wine is very deep red in colour. On the nose: Aromas of blackcurrant, anise and dark berries show through; with dried herbs, cedar, olives and a coolness of fresh mint to follow. On the palate: The richness continues on the palate, hints of the cool mint and red and black currants flow through the soft, fleshy middle palate. This wine has a balanced concentration that has fruit depth and a fine tannin focus as its feature, with a lengthy finish.